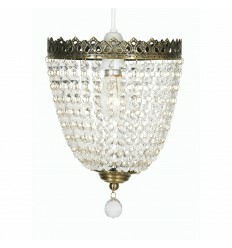 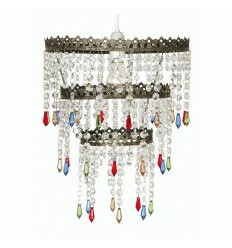 Ekon Glass Beaded Pendant, - Hegarty Lighting Ltd. 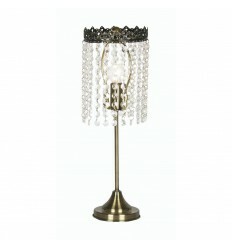 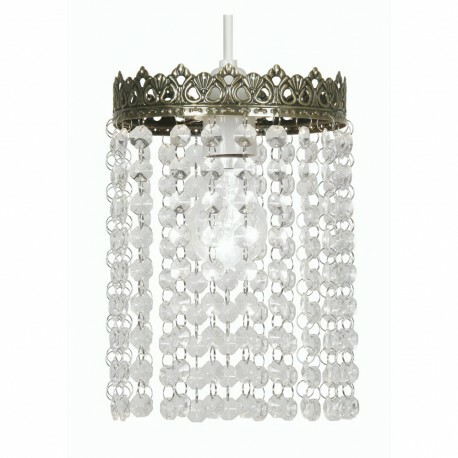 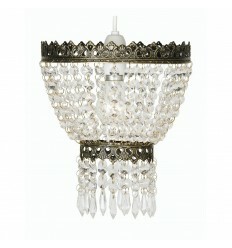 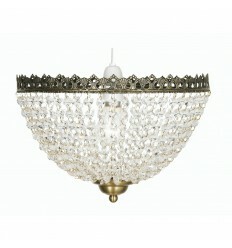 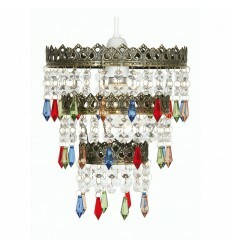 This lamp shade has a crown like frame with suspended clear glass beads. 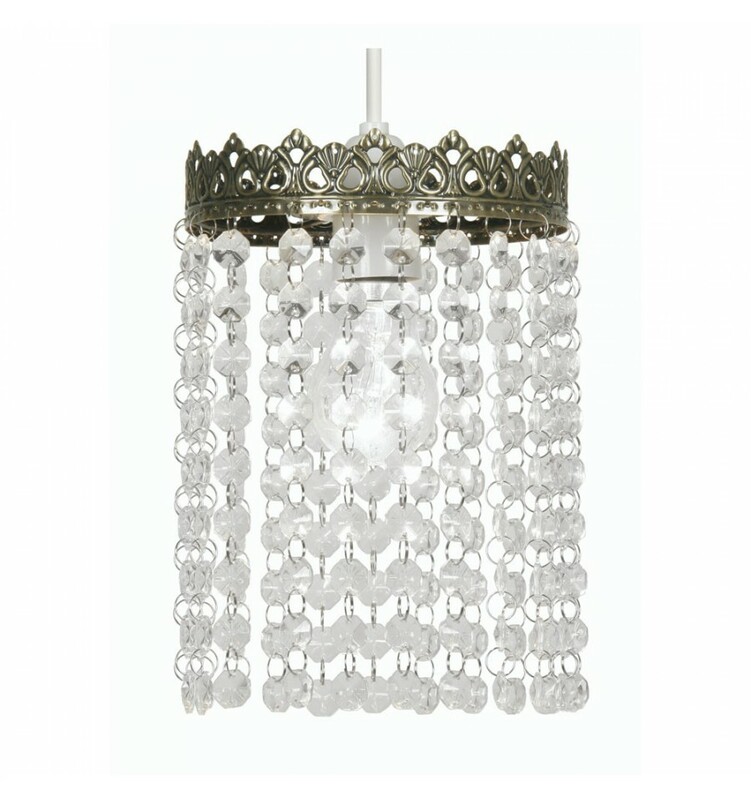 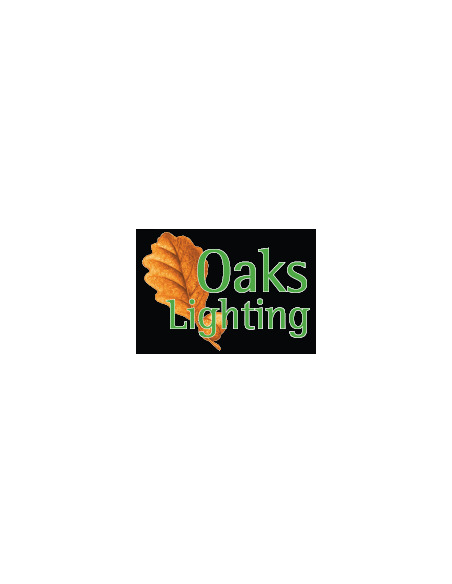 This non-electric lamp shade is designed to fit directly onto ceiling light pendants and comes with a 45mm hole and a 29mm adaptor.